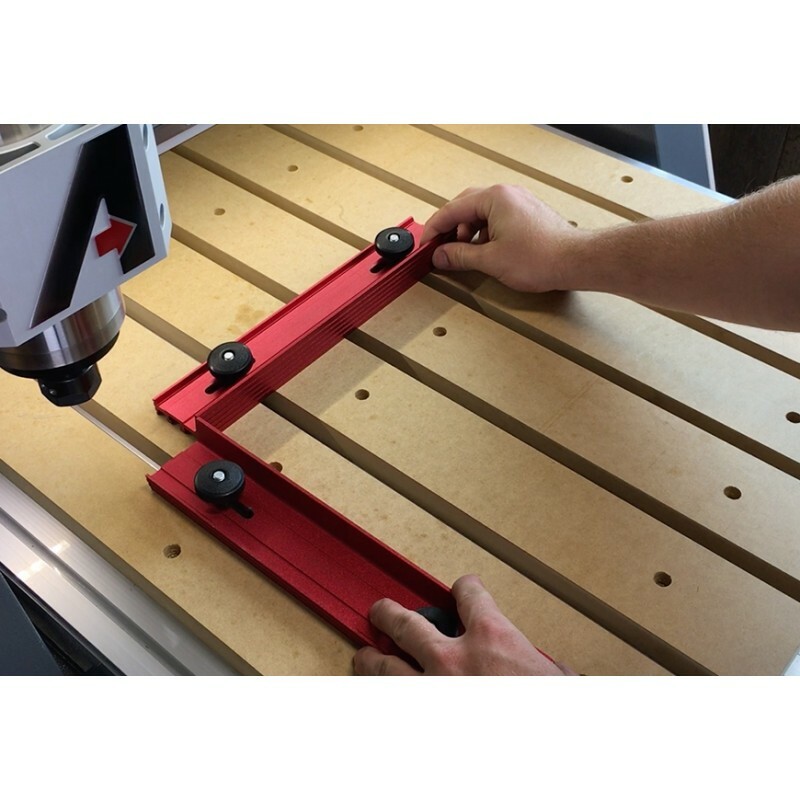 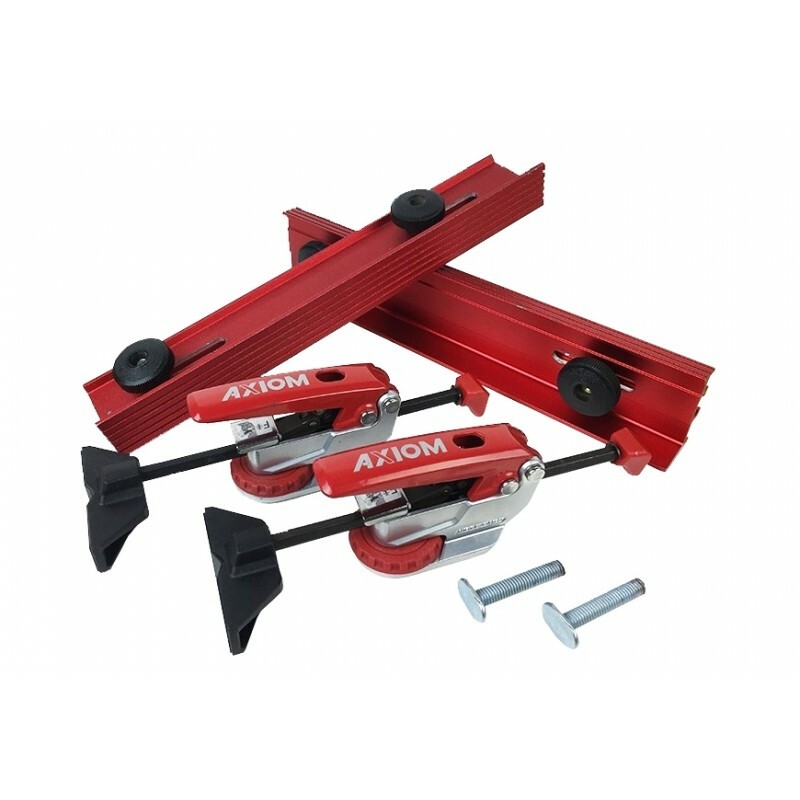 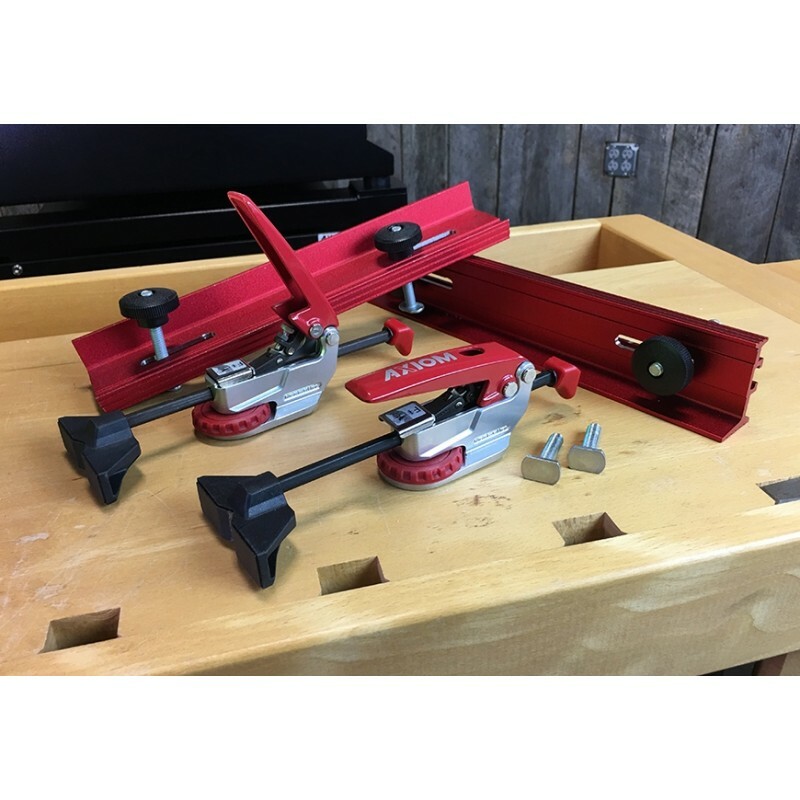 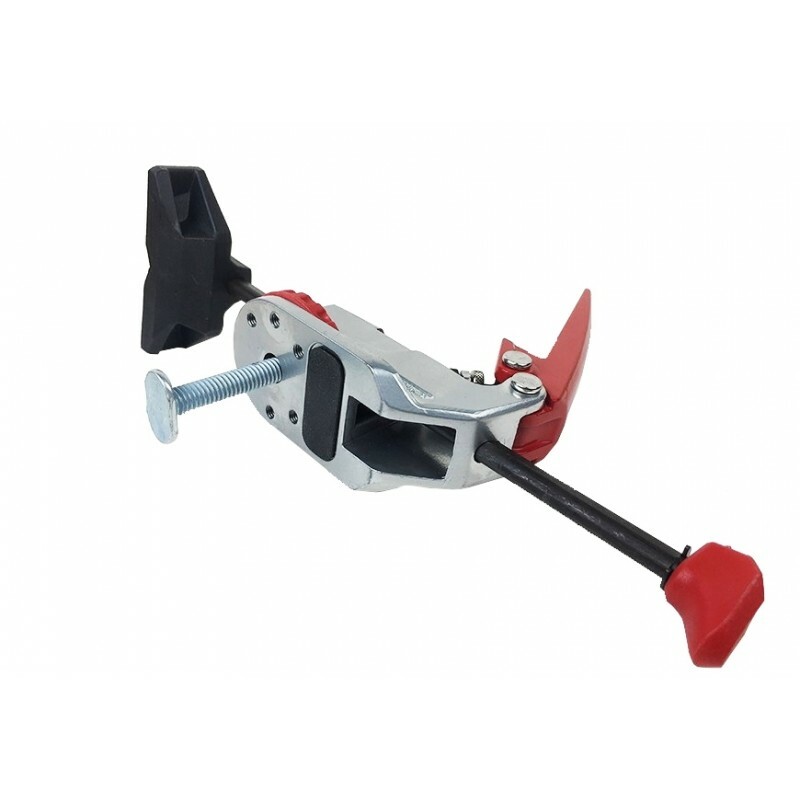 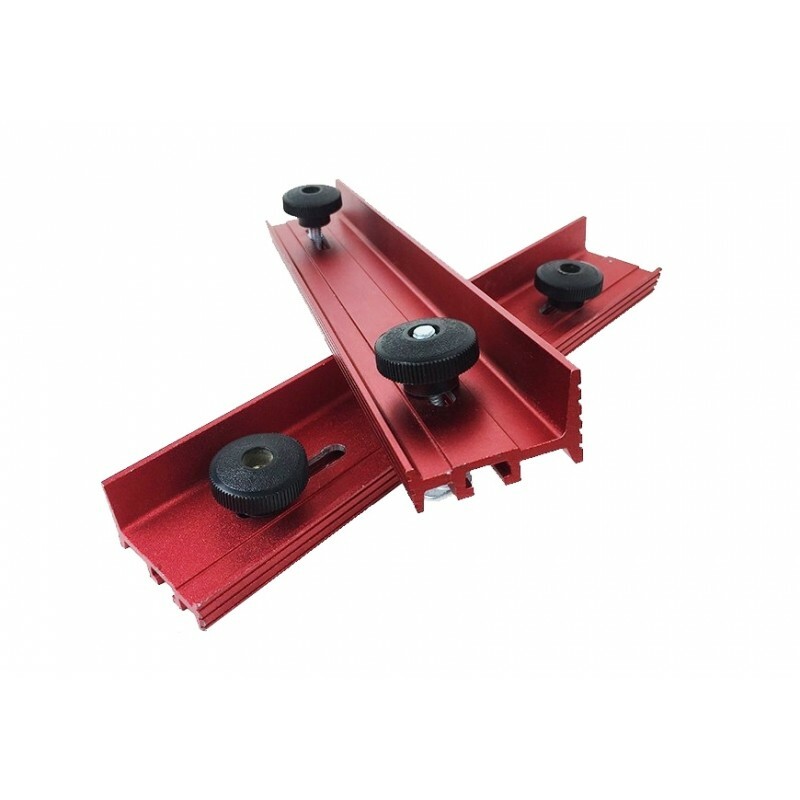 This unique clamping kit includes two linear clamps, and two 12” aluminum fence rails. 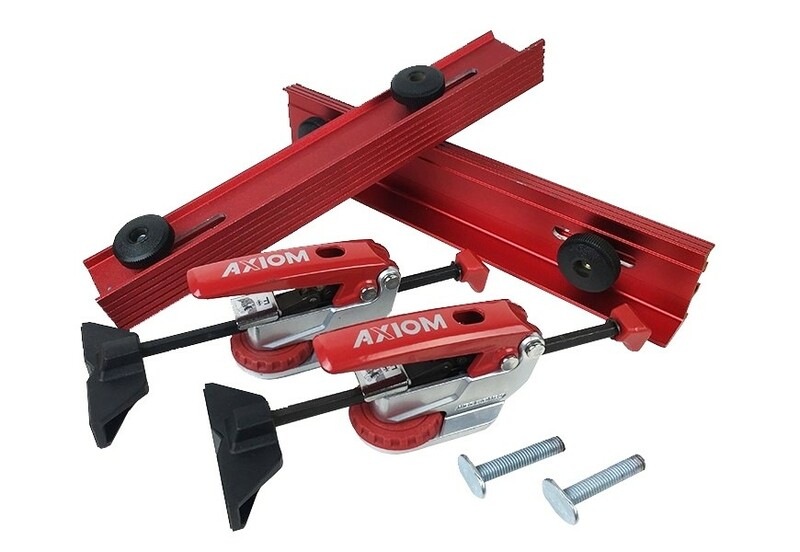 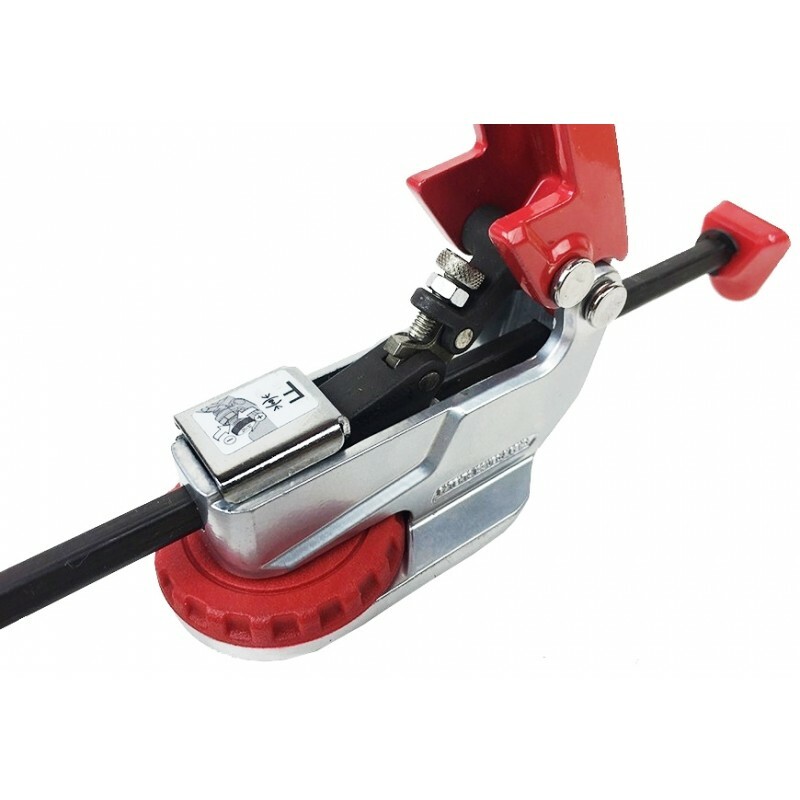 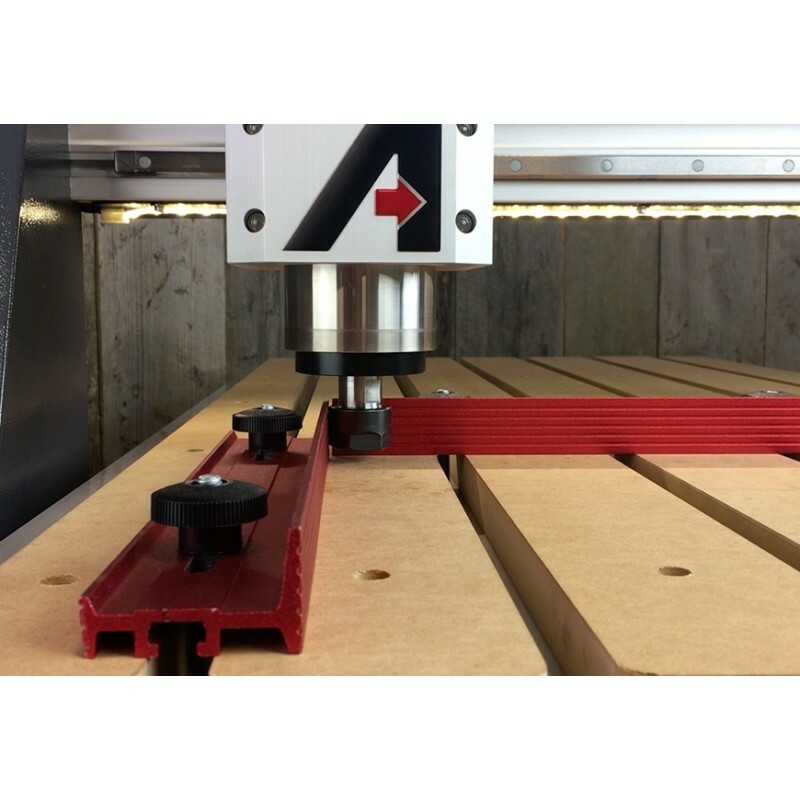 If you often machine multiple similar sized parts, this is the ideal clamping system, as it offers unmatched speed, paired with immense clamping power. 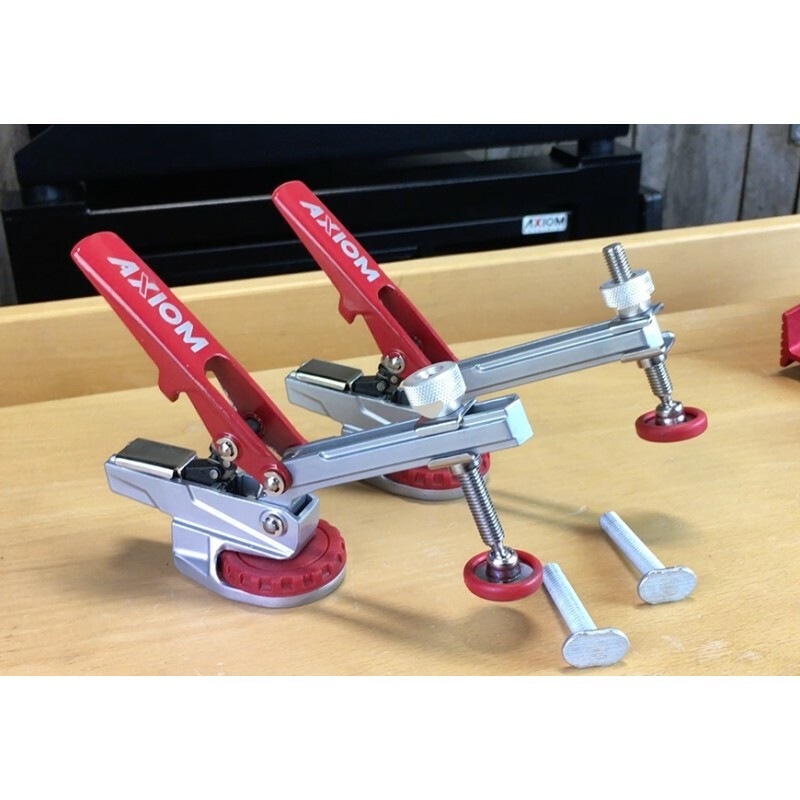 The auto adjust feature allows you to pre-set the desired clamping pressure, which will remain consistent regardless of material placement. 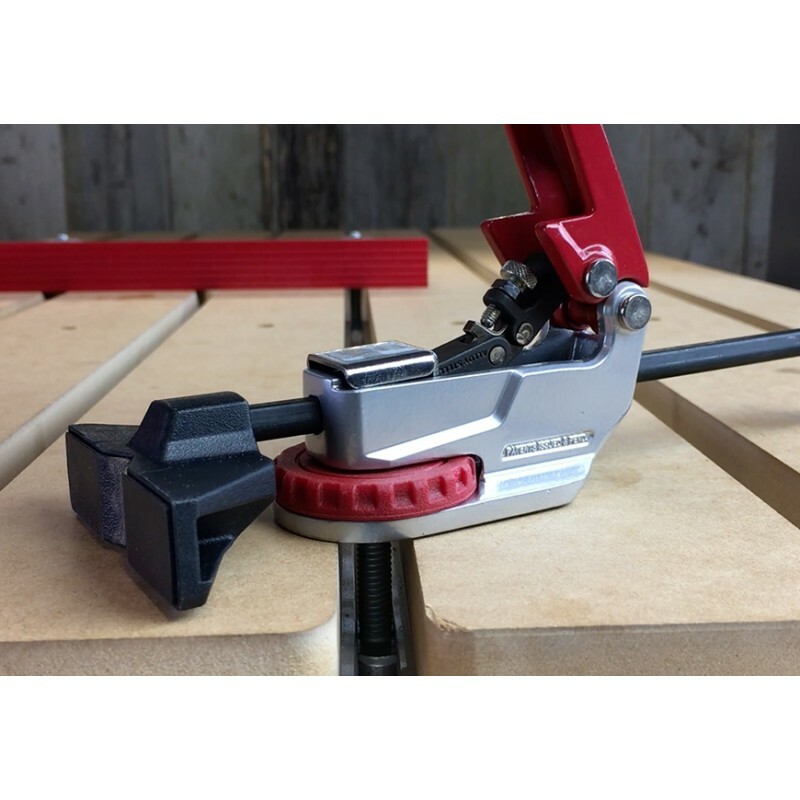 Each clamp, and each fence, includes both long and short T-bolts to allow use with, or without the spoil boards installed on your table.